WSC created the Water Well Trust to provide wells to Americans who do not have a safe drinking water supply. While there are many excellent organizations working to provide safe drinking water to people in need in developing countries, the Water Well Trust is the only national nonprofit organization helping Americans obtain access to a clean, safe water supply. The Water Well Trust provides financing for wells for low-income households with wells that no longer function properly, have contamination issues that render the well unsafe, or have no well or other safe water source. Choosing wells to provide drinking water in lieu of requiring households to connect to expensive centralized systems can save local government significant monies. For example, one Water Well Trust project in a Southern rural unincorporated community of 20 households provided significant savings for the county: approximately $81,200 for a project design that included private wells vs. more than $600,000 for repairing the public water supply system. With mounting costs associated with replacing aging infrastructure nationwide, it is imperative that local communities weigh all options when developing plans for providing new water supplies and assessing existing water service delivery. To learn more about the Water Well Trust, please visit their website at www.waterwelltrust.org. 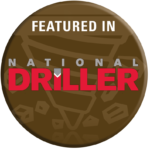 Margaret Martens, executive director of the Water Systems Council, spoke to National Driller about the significance of the Water Well Trust and the important role drillers play in it at the 2017 South Atlantic Jubilee. Watch the video.